Twelve-year-old Calvin fakes his way into the US Navy during World War II, and soon finds himself battling Japanese kamikaze pilots during the epic battle of Guadalcanal. Lucie, a fourteen-year-old Belgian girl, joins the Resistance and saves the lives of downed Allied pilots. But can she survive being captured by the Gestapo? 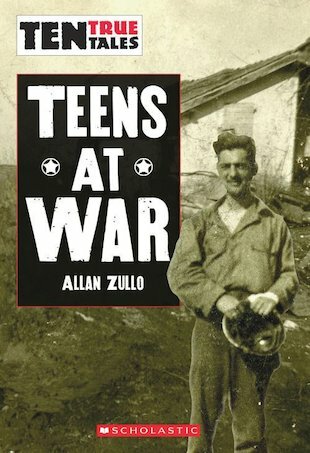 Thrill at ten true tales of real teens who risked their lives to serve their countries during wartime!